This book examines representations of working-class masculine subjectivity in Victorian autobiography and fiction. In it, Ying focuses on ideas of domesticity and the male body and demonstrates that working-class masculinities differ substantially from those of the widely studied upper classes. The book also maps the relationship between two trends: the early nineteenth-century efflorescence of published working-class autobiographies (in which working men construct their identities for a broad readership); and a contemporaneous surge of public interest in "the lower orders" that finds reflection in the depiction of working-class characters in popular novels by middle-class authors. The book mimics this point of convergence by pairing three working-class autobiographies with three middle-class novels. Each chapter focuses on a particular type of work: domestic service, manual (not artisanal) labour, and literary labour (and the opportunities it offers for social advancement). 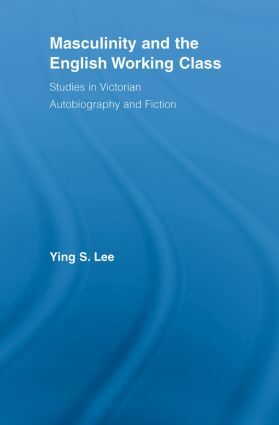 Ying considers the specific ways in which classed and gendered consciousness emerges autobiographically and its significance in the writing of working-class subjectivity for public consumption. Then mainstream novels by Charles Dickens, Elizabeth Gaskell and Charles Kingsley are re-read from the perspective of these autobiographical pressure points.